At the start of the year, many of us will set goals for the coming year and resolve to improve how we do things, whether it’s our health, diet, lifestyle or – less commonly – how we perform in our professional lives. What all these resolutions have in common is that they involve us changing our habits. Habits are tricky things as, by their very nature of being sub-conscious and therefore ‘out of sight’, they are difficult to get to grips with and we easily lapse into our familiar and routine way of behaving. For this post, I will reflect on the role routines play and differentiate between helpful and unhelpful routines, giving tips on what we can do about it. 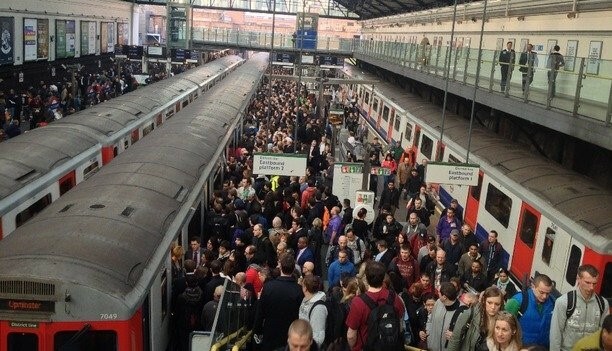 Tube strikes: an inconvenience or an opportunity to experiment? For those living in London, you will be familiar with the disruption and inconvenience of strikes on the underground system. The Federation of Small Businesses estimated that strikes in early February 2014 cost London £600m in lost working hours, business and productivity. However, a study by researchers at the universities of Oxford and Cambridge cast a different light on the impact of the strike by analysing how commuters’ travel patterns were affected by the strike. Their findings were surprising. By analysing commuters’ Oyster cards the researchers found that, following the strike, 5% of commuters did not return to their pre-strike route, having found a more efficient way to travel to work. It seemed that many commuters had been unwittingly using a sub-optimal route to and had discovered a better way, having been forced to change by the strike. Rather than costing the city money in lost productivity, the researchers estimated the net effect to the city, over 4 years, was actually positive due to the improved travel efficiency. The powerful lesson from this story is that not only does an insight lead to change, but change also leads to insight. Many of your will recognise this effect, where some sort of un-asked for change is forced on you and – as a result – you have discovered a better way of doing something or a new path to follow that has proven infinitely more rewarding. The traditional route to change (and New Year’s resolutions) is to rely on an insight about some aspect of our life and then to battle against long-held habits of behaviours. This approach is floored in two ways: firstly, genuine insights are not common; and secondly, because of the way our brains are wired, habits of behaviour are very hard to overcome. Instead, try changing some routine aspect of your life and see what happens. You’re guaranteed to see the world differently and most likely will learn something truly valuable. Routine can be supremely helpful, allowing us to carry our regular tasks in a dependable and repeatable way. From how we get up in the morning, to what we wear, read and how we travel, regular routine frees up our scarce attentional resources to more important events and challenges. Religion and militaries demonstrate the most developed form with defined uniforms, rituals and activity routines, but in more subtle ways organisations also take part with regular planning cycles, recurring meetings and their own accepted ‘uniform’. Having a set routine (for instance, regular exercise times or defined periods for reflection and reading) can also help us overcome fluctuations in motivation and support effective management of our energy. In fact, most of what we do is driven by routine and – because routines are habits of behaving that have been embedded in our subconscious to free up brain resources for responding to non-routine events – we are often not consciously aware of what we are doing. Many can relate to the experience of arriving at work and not remembering the experience of getting there. However, routines can also trap us into regular ways of thinking and make us closed to learning new things as well as less likely to grasp opportunities for new insight and creativity. Like the commuters in the study we inadvertently continue sub-optimal ways of thinking and behaving. I’m particularly interested in how this plays out in the work place. Speaking to a large group after a lunchtime break recently, I asked how many were sitting in a different seat to the one they had occupied in the morning session. Nobody raised their hand. Not one. I asked the same question to the same group later, following a break in the afternoon, and only four people raised their hand. Although simple and unscientific, this is a powerful demonstration of how we have strong in-built preferences to stick to familiar patterns and routines. How many of you attend a regular meeting and sit in the same place every time? The interesting thing about this dynamic is that it only takes one person to vary their behaviour from the norm to create a new dynamic in the group and stimulate different behaviour and fresh perspectives in others. Good leaders distrust routine as they know that it can quickly cement individual and collective mindset and ways of behaving. They also recognise that organisations rely on routines to create predictability and efficiency so are always on the look-out for opportunities to change things, experiment and encourage experimentation in others. As we saw from the tube strike example, it’s only through experimentation can we find new and better ways of behaving and operating. My hope for the New Year is that all leaders find something routine to experiment with. It may be something simple like the seating or location of a regular meeting or something more substantial, like your overall meeting framework. Don’t wait to get the perfect solution (that is not the point), just do it and see what emerges. Postscript: Organisations across all industries are grappling with how to create agility and innovation in their organisation, often in a time of cost reduction and a focus on efficiency. The same organisations are often highly routine-based and, unsurprisingly, they find it a challenge. Understanding the link between routine and innovation will the subject of my next post.